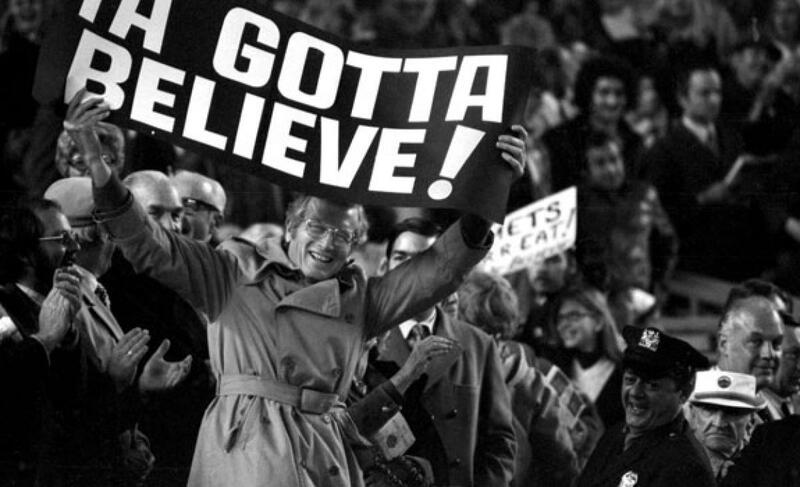 Game Recap: Braves 6, Mets 3, offense and Familia falter late | We Gotta Believe! The Mets (85-67) fell to the Atlanta Braves (62-91) by a score of 6-3. The Mets held a 2-0 lead until the 7th inning, when Bartolo Colon allowed 3 baserunners and Addison Reed allowed all 3 runs to score. The Mets tied right away with an RBI single by David Wright, but Jeurys Familia gave up a 3-run home run to Freddie Freeman in the 9th. The Mets lost all 3 series of this homestand, winning the first game but losing the next two in all three series. They finish a disappointing homestand 3-6. The Mets took a 1-0 lead in the first inning on a line-drive solo home run by Daniel Murphy. After a double by Lucas Duda and a single by Travis d’Arnaud in the 2nd, Ruben Tejada singled in a 2nd run to make it 2-0, but failed to add any more. The Mets wasted a triple in the 3rd, two singles in the 4th, and a walk in the 5th against Williams Perez. Bartolo Colon was fantastic through the first five innings, retiring the first 14 batters he faced. He got out of a 1st and 3rd, 1 out situation in the 6th, keeping the game at 2-0. In the 7th though, Colon allowed back-to-back singles to A.J. Pierzynski and Andrelton Simmons, followed by a flyout by Jace Peterson and a third single by Cameron Maybin to load the bases. Addison Reed entered and allowed an RBI single to Michael Bourn before allowing a 2-run double to pinch hitter Freddie Freeman that appeared as if it was misplayed by Curtis Granderson in right. The Braves took a 3-2 lead. The Mets struck right back in the bottom of the 7th, and Ruben Tejada singled to lead off the inning. After two outs and a stolen base by pinch runner Eric Young Jr., David Wright singled him in to tie the game at 3. Tyler Clippard was shaky but effective in the 8th, and the Mets failed to score in the bottom of the 8th. In the top of the 9th, Jeurys Familia struck out Jace Peterson before allowing a single to Cameron Maybin and a walk to Michael Bourn. Freddie Freeman, double switched into the game, then hit an opposite-field 3-run home run to put the Braves ahead 6-3. Apart from a leadoff single by Juan Uribe, the Mets failed to do much in the bottom of the 9th. What a disappointing homestand. Hopefully, this is the worst the team looks, because it seems like the bullpen, the offense, and the defense have gone into slumps at the same time (not to mention recent struggles by some of their starting pitchers). One hopes that even if everything doesn’t click at the same time, as it did through parts of August, enough comes together that the Mets can succeed in the postseason. Thankfully, the Orioles took care of the Nations again tonight. POSITIVES: Colon looked fantastic through the first 5 innings, pitching to a ton of weak contact. The issue with Colon is that at some point, often the 3rd time through the order, batters will catch on. David Wright continues to look good at the plate, and it looks like Yoenis Cespedes is coming around. Travis d’Arnaud had a couple singles, but looked overmatched later in the game. Eric Young Jr. stole a key base against Brandon Cunniff, who nearly picked him off a few times. Young later came around to score the tying run. NEGATIVES: The bullpen. Reed had his first really tough outing since his first outing as a Met. Tyler Clippard was effective, but seemed to get a bit lucky in his one inning, as he hit a batter and looked a little wild. Jeurys Familia left his pitches high, and Freddie Freeman took advantage of a very poorly placed splitter. Curtis Granderson did not produce in a few key situations tonight, and was 0/5 on the night. Kelly Johnson, Michael Cuddyer, and Wilmer Flores were not up to the task of coming off the bench. Johnson and Cuddyer struck out in important situations, while Flores came to bat in the 9th down 3 runs with a runner on 1st, and promptly grounded into a double play. Thankfully, Baltimore defeated Washington 4-3 on a late 2-run home run by Manny Machado. The Mets’ lead remains 6.5 games, while the magic number is reduced to 5.